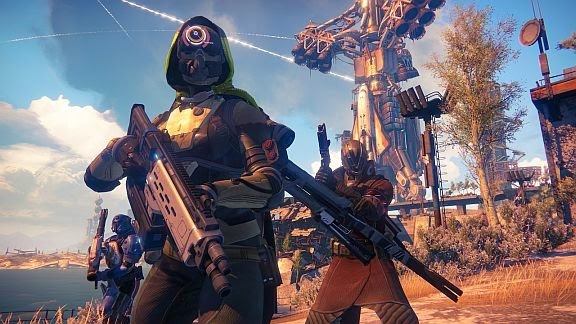 Bungie's Destiny is just one of the gaming industries new offerings this fall. Few industries move at the ferocious clip of the gaming industry. Seas change with dizzying frequency, and like any art form it has both a commercial and an experimental side – but what makes gaming unique is that everyone, no matter where they sit on the spectrum, are changing what gaming is. Gaming is reliant on technology, and as technology’s exponential growth surges forward, games ride along in that wake. While well-established gaming genres are enjoying a hedonistic expansion in terms of scope and polish, with AAA titles becoming bloated to the size of Hollywood blockbusters, there are innovators working diligently on the fringes to deliver experiences that will push the entire medium in new and untested directions. Gaming hasn’t seen such a wild, untamed frontier since the 1990s – and what we’re seeing now puts those breakthroughs to shame. First, there’s what’s called “procedural” gaming, in which the host computer – that is, the one you’re using at your desk or couch – generates the game’s content, rather than that content being pre-rendered and copied onto thousands of identical discs. 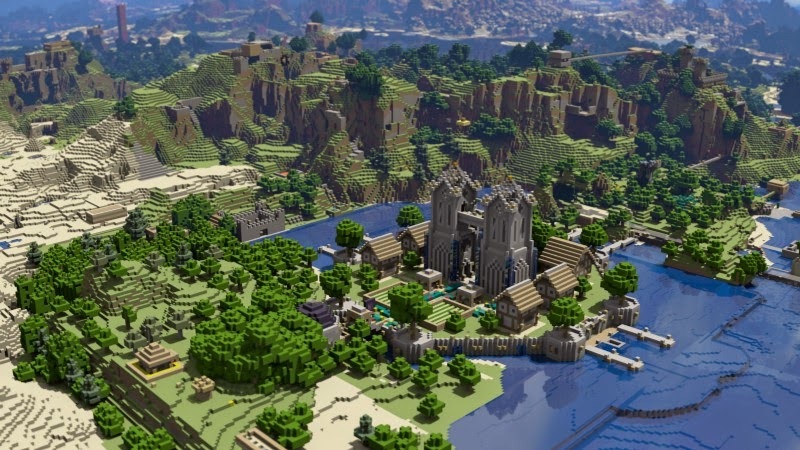 In Minecraft, for example, the world around the player is randomly generated, and spawns anew as they travel towards the edges of the map, making each new game world completely unique. Compare this to something like the pre-rendered cities in the Grand Theft Auto games, in which each building, texture, and object has been placed deliberately by the designers. Procedural generation has been a tool for computer graphics in many fields, including animated film, for years – but it’s only now that consumer hardware is starting to catch up with its lofty potential. The age of the identical gaming experience, in which there was only so much developers could cram into a cartridge or onto a disc, and there was therefore only so much gamers could see or do in there that nobody else could, is over. Massive, painstakingly rendered game worlds such as Skyrim were the benchmark for the water-cooler gaming experience – “wait ‘til you get a load of what happened to me while I was out there adventuring”, etc – but as huge and densely-populated as these worlds were, they can’t match procedural generation in terms of true uniqueness. Every person who plays Minecraft, or the audiovisual woodland meditation game Proteus, or the upcoming No Man’s Sky, with its procedurally-generated planets that the player can fly to in their little spaceship, gets to play a game that nobody else but them will see in the same exact configuration. This means potentially endless replay value, and in a big-picture sense, potentially infinite new experiences within the framework of that game. That’s a lot of content for fifteen dollars. I don’t know about you, but faced with such limitless possibility I might begin to feel paralyzed. It’s much easier to choose one flavour of ice cream than to eliminate a thousand others. Sometimes a guided experience can be a positive thing, but it’s very possible to swing too far in the other direction, and alienate the player with excessive hand-holding. (I’m looking at you, The Legend of Zelda: Skyward Sword.) Some developers have hit the sweet spot right in the centre, and used clever techniques to inform the player of their goals, without making them feel as though they’re being guided (or worse, condescended to). Combined with the huge open worlds that are becoming so popular, these design philosophies give birth to games like Journey, which uses entirely non-verbal cues to convey the game’s mechanics. The player is dropped into a gorgeous, painterly world, in control of a tiny cloaked figure. All they can do is glide across the glittering sand dunes, until they realize the camera isn’t focusing on their character, but the massive, cloud-obscured mountain on the distant horizon. A beam of soft light pours forth from the peak. No instructions are necessary. The player is drawn to that light, and the designers made sure to make the mountain visible throughout almost the entire game, a constant reminder of your goal (and when you’re separated from that looming silhouette for any length of time – in an underground section, for example – emerging out into the sun and catching sight of it again will almost surely produce a sigh of relief). What it means – why you must climb this summit, what you will find when you arrive – is almost entirely up for interpretation, and forces the player to invest this beautiful, haunting odyssey with their own motives. This new “exploration” genre, populated with other games such as Lifeless Planet, where the player takes control of an astronaut exploring a barren world, is bridging the gap between the controlled gaming experience and the philosophically, emotionally free gaming experience – the true manifestation of games as art. But even this boundless potential is limited in one important sense: it’s restricted to solo play. Cooperative and competitive gaming, a natural component of almost all games from board games to professional sports, is being especially emphasized in modern video game design. If you visited a gaming news site, you’d see terms like “always-online” and “shared-world” splashed across almost any page. These buzzwords represent the current gaming trend with the most industry traction, seen as a guiding principle for developers and publishers alike: the push for “shared gaming” experiences, in which playing with your friends online is the primary focus. You’ll notice I said online – I specifically mention this part because the practice of sharing a screen with friends sitting next to you on the couch, except in rare cases like Nintendo’s split-screen Mario Kart 8 or Diablo III’s shared-screen console port, is dying a rapid death, with few left who mourn its passing. It’s hard to deny, even with the huge wall coverage of most average televisions, that it’s nicer to play when your view isn’t restricted to a fourth of the screen. I marvel at how me and my preteen friends managed to make out what we were shooting at in the Goldeneye 007 days, considering the blocky polygonal graphics and the necessity of sharing real estate on a 20-inch cathode-ray-tube television. Fie on such archaic contrivances, say modern developers! The power of the internet is at our disposal, and instead of sitting alone playing games by yourself, you should be sitting alone playing games online, and talking to your friends over a headset! This shift – clearly a corporate move, based on the financial success of online games such as Call of Duty – has inspired everything from the ergonomic construction of console menus (which constantly feed you information about what your friends are playing and watching) to games themselves, such as Halo developer Bungie’s latest opus, the “shared-world shooter” Destiny. Destiny wears the trappings of a massively multiplayer online game like World of Warcraft, with its game world populated by players interacting, competing, and cooperating to achieve objectives and gain experience and items for their characters. But Bungie is adamant that it does not fit this mould, and are proud to laud their creation as the arrival of an entirely new genre. Their shared-world game, though, is limited in scope compared to the vibrant online experience of most MMOs – and in the early stages of post-release, its cooperative aspects are half-baked at best. Destiny sees you take control of a Guardian on far-future Earth, who must work with other Guardians to push back the “Darkness” and preserve the “Light,” with other techno-babble details I’ve forgotten since the initial cutscene. The game’s narrative aspects are sparse, but my friends and I were nonetheless excited to dive in and play together with the promise of some potent futuristic gun-play and some memorable shared experiences. While Destiny delivers on these things, we were stopped multiple times by technical difficulties, whether it was a faulty internet connection or a total server failure. The frequency of these issues demonstrated eloquently that while shared-world games like Destiny and Rockstar’s Grand Theft Auto Online can be fun sandboxes to mess around in with your friends, the infrastructure necessary to support the ideal experience is far from solid. To play Destiny, a player needs an Xbox One or Playstation 4, a paid online subscription, a copy of the game, and at least two other friends with the same. That’s a hefty price tag for a seemingly unfinished and ultimately frustrating experience. So while some genres struggle in their infancy to find their feet, others are striding confidently into realms my adolescent fantasies dared not hope for, like the world of tangible, workable virtual reality. California hardware geek Palmer Luckey started a Kickstarter campaign in 2012 to fund the development of a virtual reality headset he called the Oculus Rift, and with the support of backers and industry veterans like John Carmack of id Software, the campaign raised over $2.4 million and the Oculus became the new frontier for virtual entertainment. With such fervent support, you’d imagine the device must be something special - and you’d be right. Like a small computer slapped across the visor of a pair of ski goggles, the Rift certainly looks unwieldy – but what users experience represents the first time that virtual reality technology has been both utterly convincing and affordable for the dedicated gaming consumer. The Rift combines a simulated 3D environment with head-tracking tech that deviously fools human senses, making use of your sense of space and the balance of the inner ear to completely immerse you in environments as tame as a virtual living room and as breathlessly exciting as a virtual roller coaster. 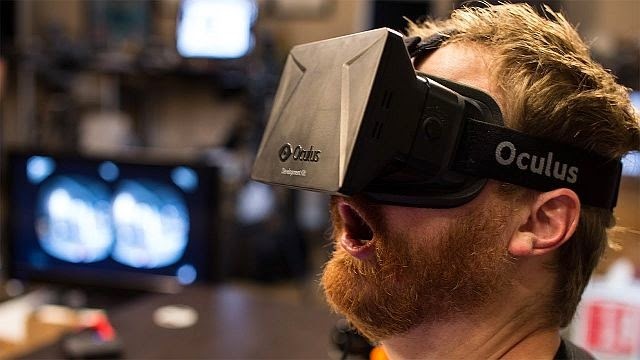 The device is still being developed, meaning that the library of current “games” compatible with the rift is mostly limited to tech demos and show pieces, but with support from celebrated game-makers such as Valve and Epic Games, the future is full of possibility. Until we get to the Holodeck, the Rift promises to keep us in awe at the fidelity with which technology can render a virtual world – and has the potential to push the boundaries of gaming genres into unprecedented territory.